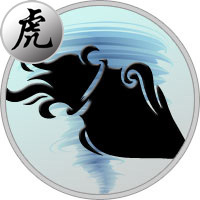 Tiger Aquarius are one of the most well-liked of the Zodiac signs. They are very engaging with others and are always looking for ways to make life better for everyone around them. When they are on top of their game, they are strong, energetic, creative, and intelligent. But they have a dark side, which usually comes out if they feel like they are not in control of their lives. When they are off balance, they can also be eccentric, over-protective, mysterious, and unpredictable. No matter what their current mood, Tiger Aquarius are confident, and they have every reason to be. They are smart, creative thinkers with excellent leadership and social skills. They can be overbearing at times when they want things done their way, but most of the time others recognize that their ideas are good and that their hearts are in the right place. Paired with their natural charm, it’s hard not to want to do things a Tiger Aquarius’s way. Deeply passionate about change in all fields, you’re a born reformer. You always want to turn everything upside down. One can count in your combination a great number of revolutionaries but also rebels, illustrious constructors but also notorious destroyers. Your head is always full to bursting with ideas and projects. However, because of certain lack of practical mind and of certain naiveness, you can almost achieve nothing if you act alone — your achievements are made principally through your friends and acquaintances. It’s why, with more sympathy and less arrogance, you would take more advantages of your vivacious intelligence and your undeniable mental qualities. You embark on your undertakings with over brimming enthusiasm. You succeed best in original or intellectual creations. Business and investments interest you little. Scientific studies, research, medicine, and reforming politics are your favorite domains. All activities aimed at promoting universal brotherhood and solidarity also have your favor. You fall in love very easily. But an ordinary love story would hardly satisfy your aspirations; you need one which would be the talk of the town! Being passionate and refusing to be tied down at the same time, you might find yourself in ambiguous or uncomfortable situations. But your sentiments are perfectly sincere.